Hand-quilted comforter with cord edge. Elegant and refined. Timeless elements and superior workmanship. 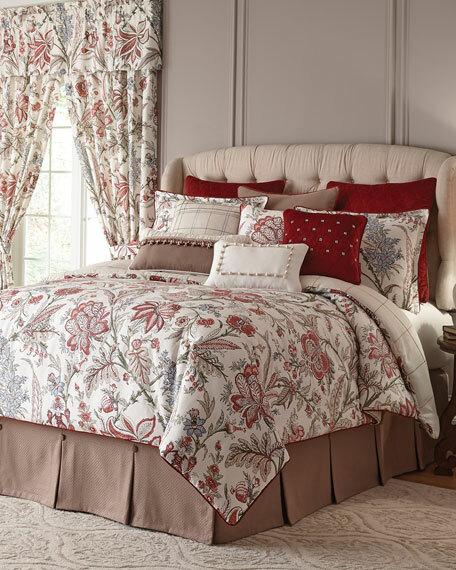 Modern elegance coupled with updated classical styling defines the Izabelle collection. 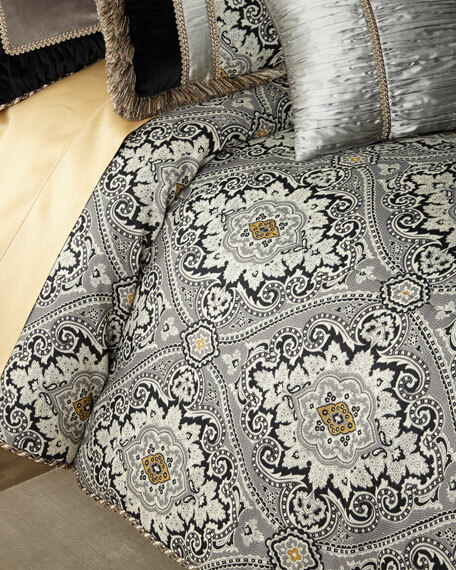 EXCLUSIVELY OURS.Three-piece set includes one comforter and two shams. 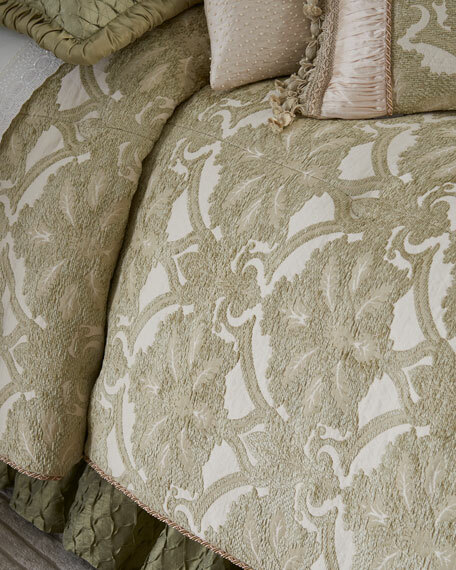 Hand-quilted comforter with a coordinating welt. Sham with 2" ruffled flange and solid back; zip closure. 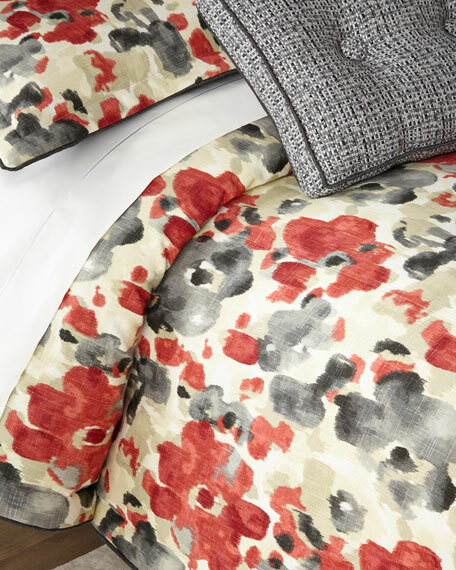 Comforter, 90" x 95".Linen/rayon.Dry clean.Made in the USA of imported materials. 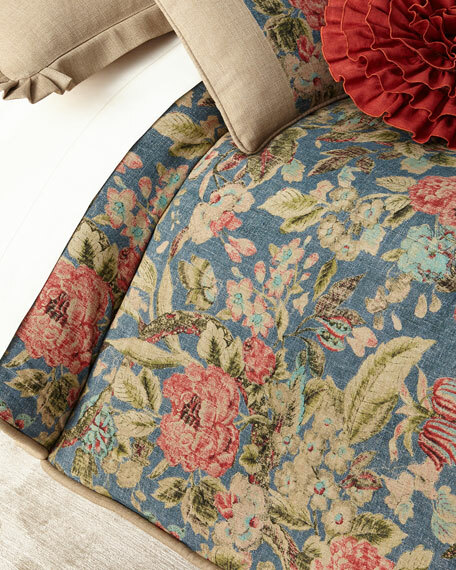 EXCLUSIVELY OURS.Hand-quilted comforter with two shams. 2" top- stitched flange and coordinating welt. Two-piece envelope back on shams. Comforter, 90" x 95". Linen/rayon.Three-piece set.Dry clean.Made in the USA.